Reaching European Ski destinations by train is now even quicker and cheaper than ever before. With the new Rhine - Rhone high speed rail line, opening in December from Dijon to Mulhouse, journey times from Paris and Lille will be reduced into Eastern France, Germany and Switzerland. Journey times to Swiss destinations now take from 7 hours to Basel which means that you can reach resorts such as Crans-Montana in 9 hours, Wengen in 10 hours and St Moritz in 11 hours. Second class fares for any of these resorts departing daily from London start from £215.00 per person. For those preferring the French Alps, Eurostar are operating their ski train service from London to Bourg St Maurice on Saturdays until mid April. Alternatively, why not travel in the cheaper mid week period via Paris and Chambery, fares start from £120.00 per person travelling second class and the journey time takes just 8 hours. 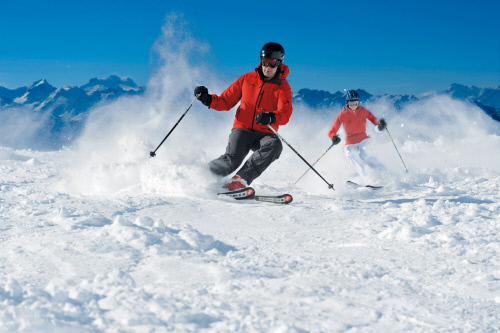 Slightly further away but still possible by train, the Austrian Tyrol offers superb skiing and getting to St Anton am Arlberg couldn’t be easier. Daily departures from London cost from as little as £245.00 return and include overnight on board accommodation in a 6 berth couchette. Upgrades to private en-suite cabins are available upon request. Journey time from London to St Anton am Arlberg takes just 19 hours, travelling overnight on the train. Tickets for these journeys and more can be purchased from Ffestiniog Travel by calling 01766 772050 or by emailing travel consultant Dan May direct at dan.may@ffestiniogtravel.co.uk. Ffestiniog Travel is online at www.ffestiniogtravel.com or for ticket only sales go to www.myrailtrip.co.uk or visit the Ffestiniog Travel Facebook page.